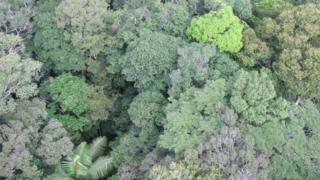 The rich diversity of trees in the Amazon could be the result of widespread dispersal over geological time, a study has suggested. Although the vast tropical area is now divided into regions, scientists suggest these areas did not evolve in isolation from one another. 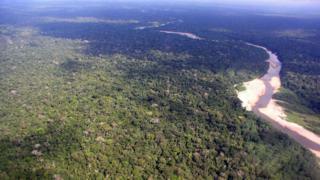 Modern fragmentation could be damaging the process that made the Amazon so important for plant biodiversity. Writing in their paper, the authors said that while some of the estimated 16,000 tree species were spread throughout the Amazon, others were confined to particular areas. They said that this had provided the basis for the vast seven million square-kilometre habitat to be divided into “floristic regions”. In an attempt to answer this puzzle, the team studied the evolutionary history of four dominant groups of trees by analysing DNA, focusing their efforts of the genus Inga – a member of the legume (pea and bean) family. They found that a reason for the high levels of diversity was that the dispersal of the trees could have originated in any part of the whole Amazon basin. 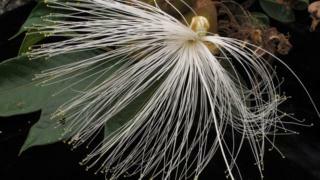 “The history of the rainforest of the Amazon Basin has long intrigued scientists,” explained co-author Kyle Dexter from the University of Edinburgh and the Royal Botanic Garden Edinburgh (RBGE). Although the paper was an academic study on how one of world’s most important biodiversity hotspots was created, it’s findings could have an impact on the way people considered conserving the rainforest for future generations. “We could be concerned about the implication of a recommendation that we did not have to worry about cutting down a corner of the Amazon basin because we have got a high phylogenetic diversity of trees elsewhere,” said fellow co-author Toby Pennington, also from the University of Edinburgh and RBGE. Dr Pennington added that the dispersal patterns displayed by the trees in the Amazon were not repeated by other organisms. “For example, birds seem to show much more geographically restricted patterns,” he told BBC News.